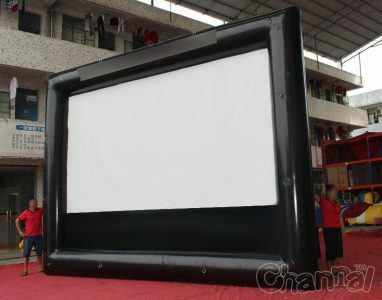 Best inflatable movie screen for sale, made of high quality PVC material. 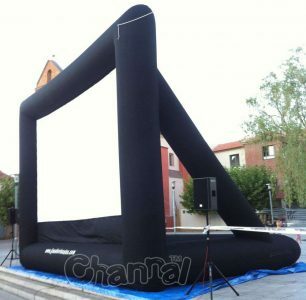 Build your own indoor or outdoor movie theater and cinema in your home or backyard with our cheap inflatable screens and saving you lots of time and efforts. If you need to carry a screen with you, then it’s perfect, our portable movie screen is just what you want. 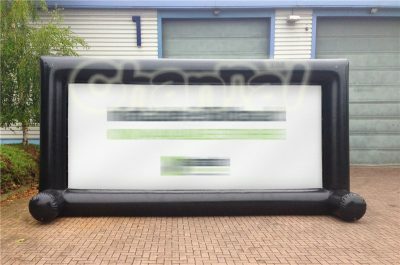 Choose Channal Inflatables as your trusted inflatable projector screen manufacturer, we could custom the size for you, large screens or small ones, to fit into your situations.